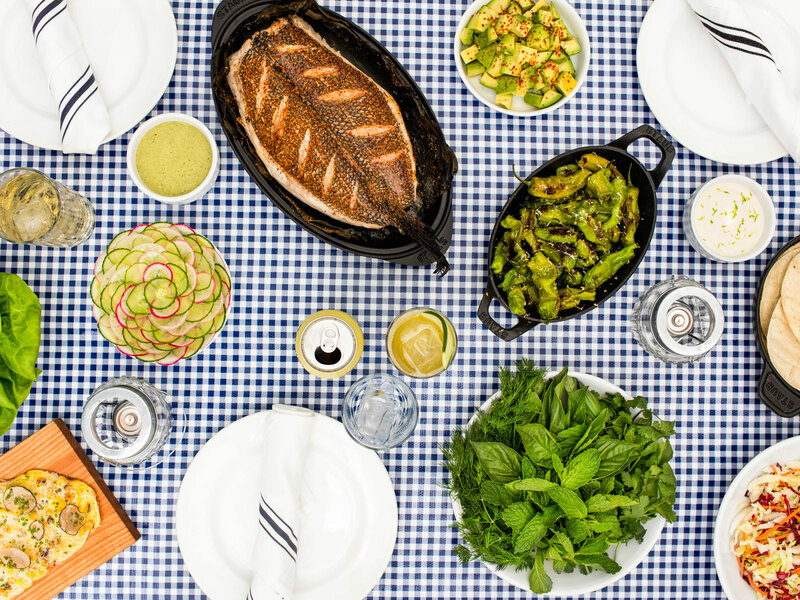 In its second season, the exclusive pop-up from Eleven Madison Park is the summer party you want in on. 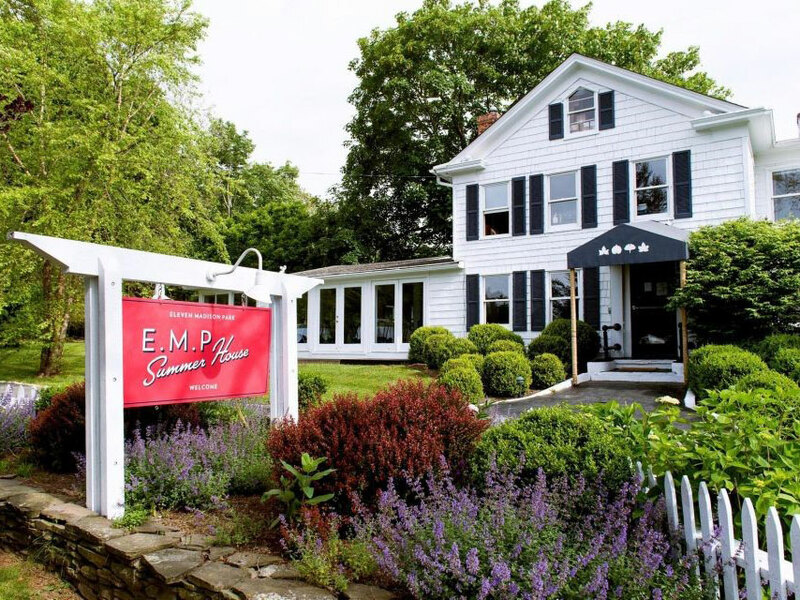 With the exception of the shiny, red sign out front, the EMP Summer House—Eleven Madison Park's pop-up in East Hampton that just opened for the season—looks like any other Hamptons rental. And if you know anything about the EMP team, you know that the unassuming, homey look of the place—along with every other choice they make, down to the script on the coasters, which matches the script on the welcome sign—is intentional. When they closed the restaurant for renovations last summer, they could have chosen anywhere in the world to host a pop-up. They chose the Hamptons because they're a New York restaurant, and they wanted to go where their customers go for the summer. Eleven Madison Park wasn't named the best restaurant in the world by the World's 50 Best Awards for nothing. 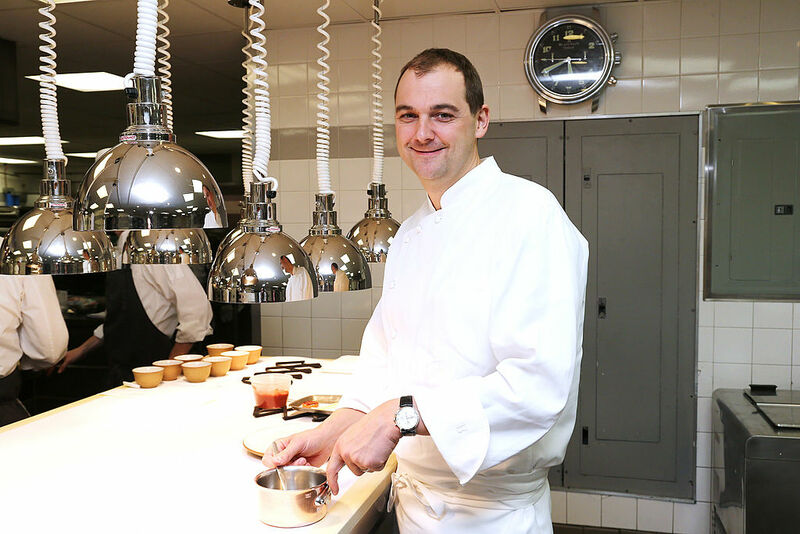 Chef Daniel Humm and restaurateur Will Guidara are acutely tuned in to what their diners crave, and are constantly refining everything in order to bring their guests the unparalleled food and service that not only earned them the World's 50 Best accolade, but also a coveted four stars from the New York Times. So, it's no surprise that although they had a stellar first summer—one you may have thought needed no improvement at all— the second year of the EMP Summer House has a host of revisions and upgrades. "Of course we learned a lot. We improved the facility. We had more time to plan it and we have the experience of last year," Humm told me when I visited the house last weekend. "We have this bread with different snacks and spreads. That's a new section on the menu because people want to share," Humm explains. 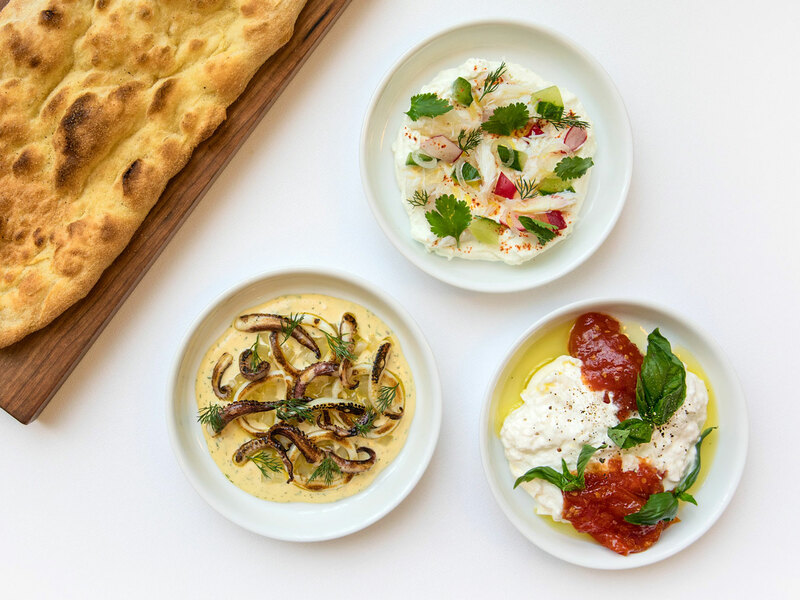 You'll see spreads and toppings like hummus, squid, burrata, crab, avocado and caviar to put on wood-fired flatbreads, and, predictably, they're all exquisite. They served frozen drinks last summer, bu this year, they're adding two new ones they're particularly excited about: A frozen Jungle Bird and a Pina Colada. What's a summer seafood meal without some fluke ceviche? This one's bound to be popular among the Hamptonites. Last year, guests could get large-format orders of fried chicken or lobster to eat under the tent, and this year, they're keeping the lobster but ditching the chicken for DIY tacos with either a whole grilled fish or braised short ribs. Don't worry: the fried chicken is now available on the menu inside. They've teamed up with Brooklyn-based Folksbier to make a custom brew called Summer House Glow Up. Between the dining room and the tent, guests can lounge on new, palm tree-adorned cushions, situated in a nook decorated with newly painted walls and art from artist Peter Spacek. Also on the wall is a surfboard from Amagansett-based Grain Surfboards painted with a fish. It's a cozy place to knock back those frozen Jungle Birds. This year, crowds (this order is meant for 6-8 guests!) can order two new large format drinks, known as explosions. The first is called Pretty and Basic, and consists of rosé, Aperol, Genepy, lime, black pepper, and strawberry. The second is the Demerara Dry Float: Appleton V/X Rum, Macchu Pisco, Maraschino liqueur, passion fruit and lime. Cheers from the #empsummerhouse with this cocktail explosion (rosé, Aperol, Genepy, lime, black pepper & strawberry). Last summer, the impetus for the summer house was that Eleven Madison Park was closing for renovations, but Humm and Guidara knew they had to hang onto their stuff. So they relocated everyone to the Hamptons for the pop-up, and the whole team stayed in a house together. This year, they've got staff from EMP, but also from Made Nice and Nomad, as well as some new team members. "We still provide houses and cars. It's a great summer," Humm says. 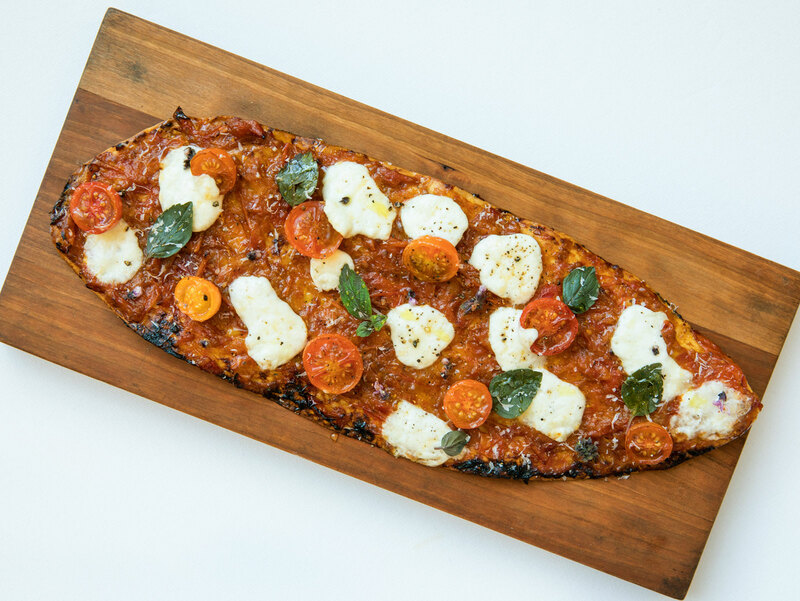 Out of the wood-fired oven will come a clam flatbread—briny and crispy—and a tomato and Stracciatella flatbread. They're light, so order both. For the competitive set, there are three new ways to get that energy out: Ladder ball, can jam, and tetherball are new to the backyard, where guests can still play bocce and ping pong. So, why a second year? "We have this amazing partnership with Amex," the chef explains, "and really it's a partnership and we couldn't do it without them, and that was part of the reason we did it again. Because it was working; the relationship was working and everyone had fun doing it." While only Amex card-members can make reservations at the house, anyone can walk in, provided they pay with cash. I was there for a special by-invitation-only dinner for Platinum card members, and can attest: The place feels fun the instant you catch sight of that red sign out front and pass through the doors. Even on a stormy, early summer night, the vibe was playful and festive. 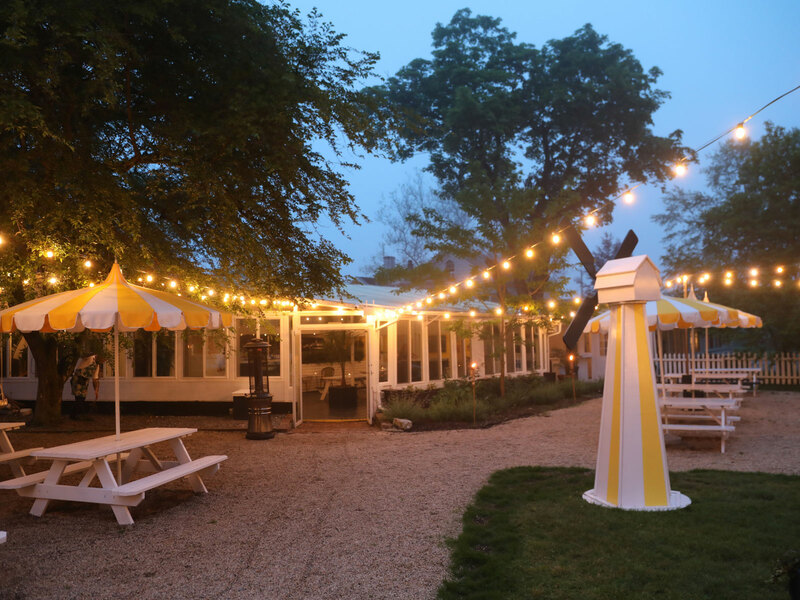 And it's not just because there are games out back and surely some of the best drinks to be had in the Hamptons. It's also because the team is having a good time. "We're closed two days a week, so the whole team gets to be together, work together but also have fun together. What we learned last summer was that one of the greatest benefits was how close the team became with this experience," Humm told me before dinner. "Even for me, when I come out here and I get to sit on the lawn with the chefs, it's different. It's a kind of bonding. It's special. It's all about the team." Next up? This same team will head to Aspen to open the EMP Winter House. "With everything that we do, we always think about, 'what is the restaurant that we would want in that moment and place?'" Humm says. 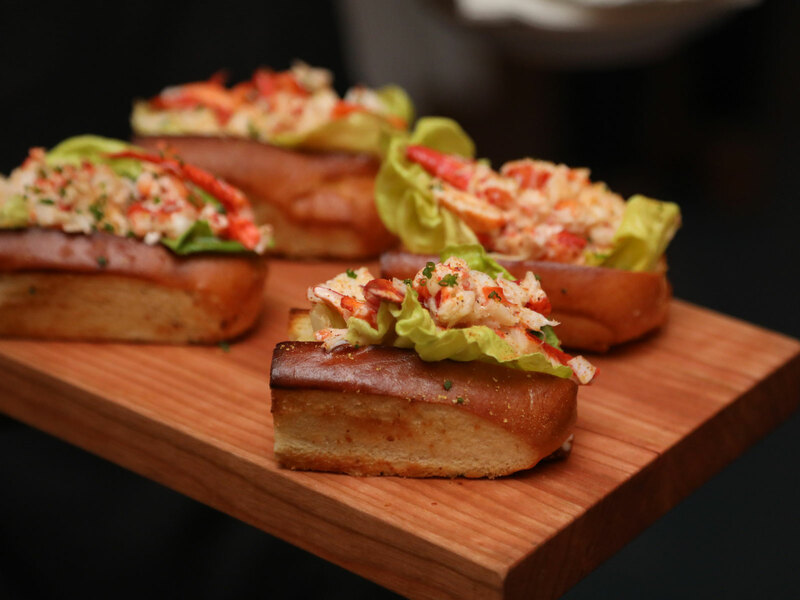 For the Summer House, that means swapping lobster rolls and hot dogs for the pre-fixe dinner at Eleven Madison Park in Manhattan, for one. For the winter house, it will mean channeling the food of the mountains—something Humm, who grew up in Switzerland, is particularly excited about. "Why Aspen?" I asked as we finished up our talk. "Well, we knew we wanted a winter location," he said, "and where do New Yorker's go in the winter?"